These are the top 3 chew treats to keep those puppy teeth healthy. Becoming a new dog mom or dad is not something you were naturally born knowing how to do. Although parent instincts do kick in, making the right decisions when it comes to caring for a newborn pup can get pretty overwhelming. The time in your dog’s life for you to teach them the difference between right and wrong is now! This crucial period is where your fur baby is young enough to be able to mold in your own image—or at least try your best to nurture and care for him or her and teach them to avoid chewing on your favorite pair of Nikes! Click here to find the best chew treats for puppies thoroughly reviewed to help you find the right product for your dog to keep him happy and healthy - and off that pair of sneakers. Training your dog and caring for their dental hygiene using dog chews and treats can be extremely beneficial. However, it can also be pretty dangerous, if not chosen correctly. Some types of chews can actually be hazardous—turning a delicious treat into an obstruction of air passages. Some treats can simply be too big for your dog at his or her age or size, and some other chews may actually contain toxic ingredients for your dog—depending on their allergies and health. Picking the wrong dog chew can actually result in broken or fractured teeth, abraded gums, dangerous ingestion, and an oral infection, among many other horrible things for your little pup! 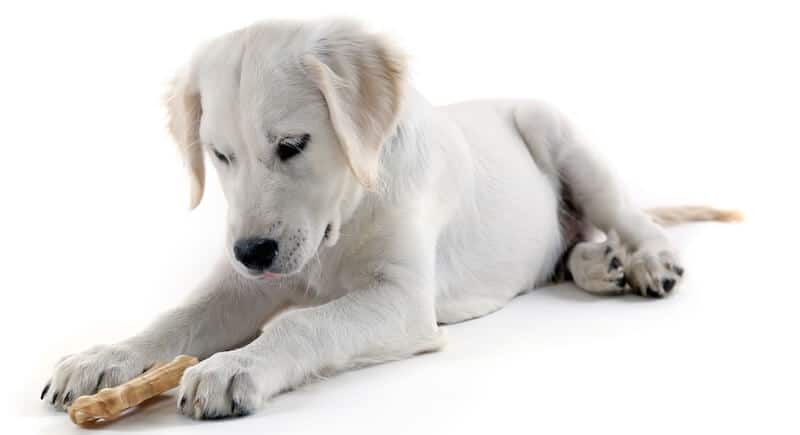 To pick the top 3 best chew treats for puppies, we asked a few veterinarians and canine professionals for their opinions and recommendations. These products are well-known favorites of numerous dog owners, but each dog is different. Therefore, even though this guide can help you out loads in choosing which is the best dog chew treat for your pup, we recommend that you talk to your veterinarian before deciding if you're not sure about your pup's health. What your puppy can or should eat can depend on his or her size, age, mouth issues, and dental health needs. To help you to make your perfect choice, we’re going to break down the wide world of dog chew treats into five different categories. Hopefully, from there, your choice can get easier to make as you get more and more information. Synthetics: Even though these plastic treats will last an extremely long time, if a big piece of this chew toy gets broken off and ends up in your puppy’s digestive system, it can actually be the cause of internal organ damage. Not only that, your dog can choke on it and even suffer from intestinal blockage later on. Rawhide chews: This type of chew is actually a byproduct of the leather industry that is manipulated to be dried and twisted to make the chews. You can expect that there are loads of toxins hidden inside from all the processing and you can find many horror stories of rawhide chews causing intestinal blockages. Although these treats are popular, our vets recommended another type of chew treat for small puppies. Bony treats: You can invest in those bony antlers—which last an extremely long time, especially if you have a smaller dog. If your dog likes to munch and crunch, you can also purchase cattle tail and spine. However, when you're giving your dog this type of bone, you're risking the possibility that sharp pieces of the bones might get lodged in the stomach or throat, causing severe health risks. Raw meat treats: These treats can be lungs, tripe, intestines, ears or other yucky pieces of animals. However, if you get away from that squeamish factor, these treats are pretty safe. They keep your pup full since they are calorie-dense but might not last a long time if you have an avid chewer on your hands. Another risk associated with raw meat treats is that they might be linked to puppy obesity and can possibly have bacterial contamination and traces of hormone implants or injections. When picking a raw meat treat, you should go for the well-known brands to choose a safe product for your puppy. Fully edible treats: With the ingredients usually of milk, compressed vegetables, and peanut butter, they are generally geared towards pups that already have some dental issues. Healthy pups and dogs will devour these treats in a matter of minutes or less. Therefore, if you're looking for a dog treat to bide his or her time, you might not want to choose these from the doggy aisle. This type of dog treat is safe and healthy, but you need to choose one that is built to last more than a minute. If you're interested in eco-friendly dog chews, you should opt for vegetarian chews or by-products from non-farmed animals. Ready to go to the puppy market and make your first treat purchase? Not yet! Read through these last few pieces of important information so you can make a fully-educated decision in giving your fur-baby the best of the best! Tooth enamel on a dog is actually only one-third of the enamel found in human teeth! That means dog’s teeth are extremely sensitive and when choosing the wrong product, you can actually be harming your dog more than you're helping him or her. 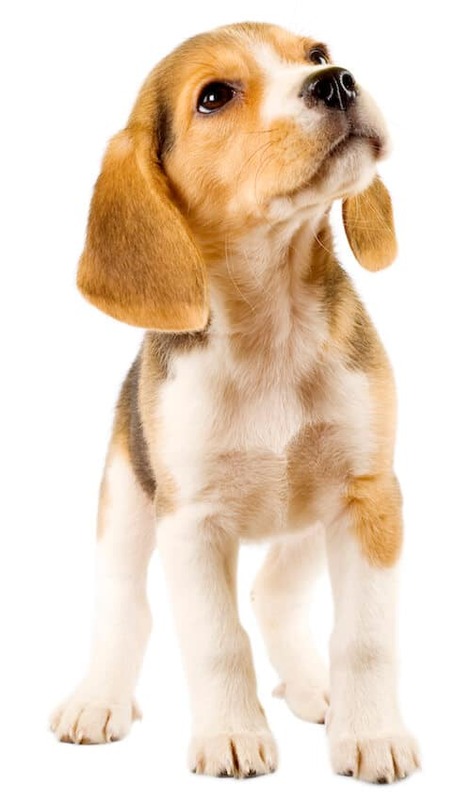 Especially if you have a young puppy, they tend to have even thinner enamel than their fully-grown counterparts, and your purchasing decision holds even more importance! If you have a very small puppy, you should only be giving one of these chew treats to them per day. However, to find out exactly what the recommendations are when it comes to your dog, it’s best to consult with your vet! Since these treats are about the size of a No. 2 pencil, they are perfect for small to medium-sized breeds with a smaller bite or who have developed a chewing problem. Best Bully’s is a decade old pet-treat company that is based and founded in Richmond, VA. They produce high-quality bully sticks, dog treats, and dog chews. Their goal is to provide affordable, single-ingredient dog treats and chews that are approved by the USDA. 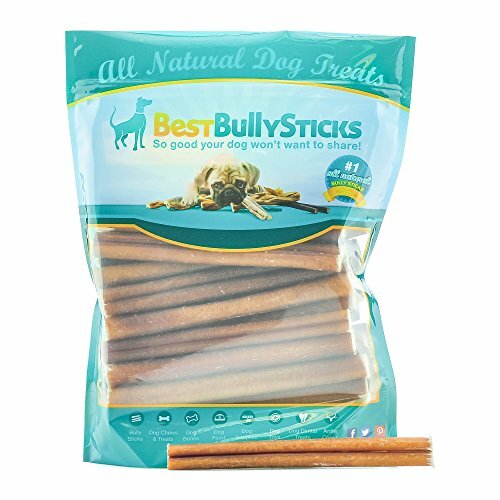 Especially since the company is founded on keeping the ingredient list down to a minimum number of one—the Best Bully Sticks are made from 100 percent all-natural beef. The beef is also high-quality, free-range, grass-fed beef with no splinters and no chemical treatments. If you're looking to keep your dog occupied with a treat that also promotes good health, these are a great buy. The Bully Sticks scrape away tartar and plaque as well making them perfect for oral health. They are also extremely high in protein, providing the pure energy your pup needs to grow big and strong. They are also made free of additives, hormones, and other unhealthy chemicals. Although the Best Bully Sticks are 100 percent natural, that means that there’s no way that they can hide the all-natural freshness—meaning the smell. The natural scent might not be your next perfume choice—but your dog will go crazy for it! The 6-inch chews help with bad breath and are 100 percent digestible and safe, which is one of their best features. Although they don't have the risk of digestive blockage, you should still limit your young pup to just one per day. + Extremely digestible. Since these treats are made from 100 percent natural meat, they don't have any bone, making them easy on the stomach and eliminating the risk of bone shards getting into your pup’s throat or stomach. + Protects and promotes dental health. The treat was designed so that it eventually becomes soft and stretchy, yet still durable. This means that your puppy will continue chewing at it—cleaning his or her teeth thoroughly! They target plaque and tartar, massage the gums, and help prevent inflammation, bleeding, and tooth decay. + All size-dogs can enjoy them. No matter how quickly your puppy grows, you can still give them their favorite treat since they are available in mini, small, regular, and large sizes. - Bigger dogs can finish quickly. If you still consider your 40 lb. dog a puppy, you might want to reconsider these treats. A bigger dog can finish it in less than one to five minutes. A perfect chew stick that is made of all-natural ingredients can be a great first treat for your pup to enjoy as he or she grows older. The Supreme Bully Sticks are a tasty, safe and healthy chew treat for your little pup. When your pup weighs anywhere from 7-22 lbs., these treats are a great buy to help train them. The Dentastix chew treats are one of the bestselling dog treats worldwide because they are delicious and excellent for promoting dental health. Pedigree is a world-famous brand offering dry and wet dog food and treats that support and fortify the fuel behind your dog's energy, focusing on health and happiness, no matter what stage they may be in. They partner with dog shelters to providing food for the less-fortunate pups and aim at producing safe and healthy products all over the world. Rice Flour, Wheat Starch, Glycerin, Gelatin, Gum Arabic, Calcium Carbonate, Natural Poultry Flavor, Powdered Cellulose, Sodium Tripolyphosphate, Iodized Salt, Potassium Chloride, Vitamins, Potassium Sorbate (A Preservative), Smoke Flavor, Zinc Sulfate, Green Tea Extract, Turmeric, Iron Oxide, Copper Sulfate. Even when it’s treat time, you can still offer your puppy these delicious treats and clean their plaque and tartar buildup. 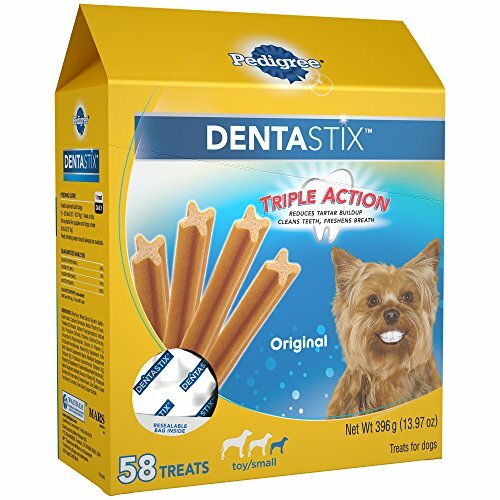 The Dentastix treats are excellent at promoting dental health while dogs enjoy the delicious flavor. The treat is soft enough for small puppies, but still tough enough to keep your pup chewing to get the plaque on its teeth removed. The ingredients are safe, well-researched and healthy, although you shouldn't give your pup more than one treat a day to prevent obesity. There are various flavors: Original, Beef, Bacon, and Fresh. Original/Beef/Bacon: Comes with the aroma and taste of real chicken in the hearty beef, bacon, and original flavors. For meaty dental chews, your dog can enjoy a real-beef flavor. Fresh: Comes with a fresh mint flavor that leaves your dog feeling clean—and you thanking the treats for the not-so-stinky breath. Grain Free: Although they don’t have much taste, this “flavor” is made especially for dogs that have sensitive stomachs or unique dietary needs. The Pedigree Dentastix are made with a chewy texture. They are responsible for freshening breath, providing daily oral care, and reducing plaque and tartar buildup. + If your puppy doesn't care for one certain flavor, you can easily change to the next. There is bacon, beef, chicken, fresh, and original—giving you multiple options to find a treat your dog loves. + You will love the small dog convenience—just one stick a day can do wonders for his or her dental health. Even if your dog is too small, you can easily just break up the stick. + Available in mini and in large, so it grows as your dog grows. + Great for oral health—it focuses on reducing plaque and tartar build-up. It also focuses on freshening your puppy’s breath. - It’s not recommended for dogs that are under 5lbs or younger than 6 months. The stick may be too large and contain too much energy, although can probably get away with breaking it up in two as one of our vets suggested. 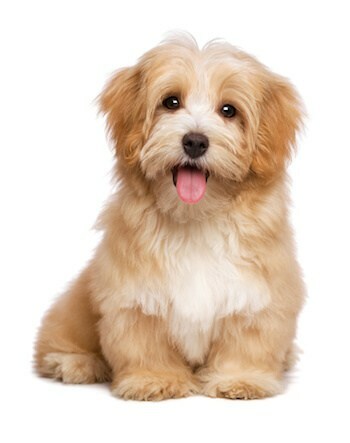 Pedigree Dentastix are a great option for puppies as they are soft, chewy and made with safe ingredients. If you are looking for multiple flavors to try out, this is an excellent choice as it has plenty of options. This bestselling chew treat is loved by dogs and their owners all over the world. These treats are veterinarian-recommended and accepted by the Veterinary Oral Health Council (VOHC) for dogs that are between 5-15 lbs. 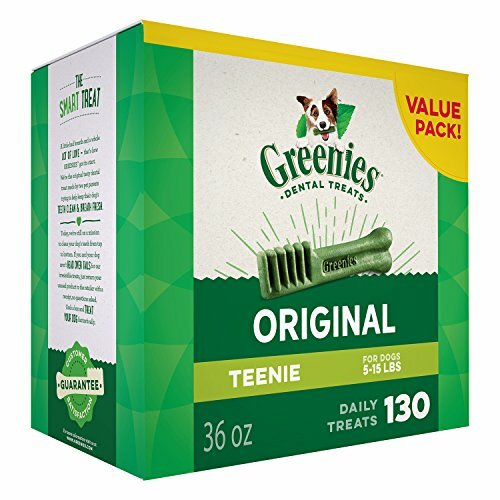 Founded in Kansas City, with ingredients from around the world, GREENIES is a brand that has been in production of dog and cat treats since 1996. They produce well-known chewy favorites loved by dogs and cats as well as their owners. These treats boast natural ingredients plus vitamins, minerals, and nutrients. They are made with wheat flour, glycerin, wheat gluten, gelatin, water, powdered cellulose, lecithin, minerals, natural poultry flavor, choline chloride, fruit juice color, vitamins, and turmeric color. These dog chews target oral health care and get your dog’s teeth cleaned! The treats clean down to the gum line and focus on fighting plaque and tartar. They also freshen breath. Since these treats specifically target oral health care, they are made with natural and easy-to-digest ingredients. They are also good for your dog and nutritionally complete. + These treats have multiple sizes available—“teenie”, petite, regular, and large for dogs up to 100 lbs. + It helps fight plaque and tartar build-up, focusing on the oral care of your dog. + Leaves your pup with fresh breath. - If your dog is gluten intolerant, these treats are NOT gluten-free. If you are looking for a dental treat that can clean your dog’s teeth and freshen his or her breath, this is a great option. Although there is a sort of fresh taste, most dogs love the flavor and structure of these treats. The Greenies Original Dog Dental Chews Dog Treats are yet another bestselling, safe and healthy alternative for your puppy. For everything you need to know—especially for a newbie parent to a newborn puppy, here are our most frequently asked questions—all about dog treats, and so much more! Is it necessary to give my dog treats? They are not a necessity for your dog’s growth, but they can help in behavioral reinforcement and to form a special bond. 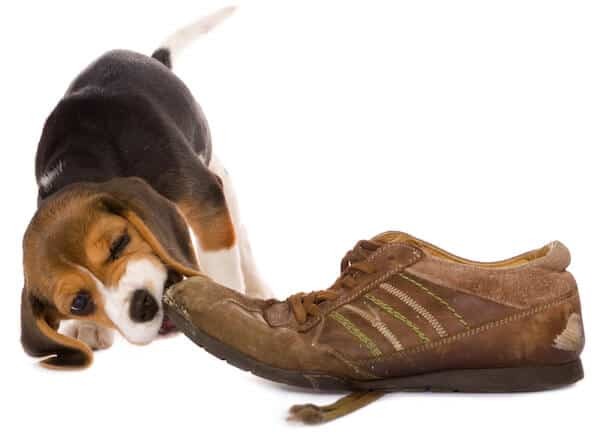 Especially if your dog is a puppy, it can help with training and give them something to chew on instead of your shoes and furniture. All dogs have an instinct to chew, so there is no point in scolding your puppy when it does so. Instead, give him something healthy to munch on to redirect his attention off your leather shoes and remote control to something that is allowed and won't cost you. Chewy treats also have the benefit of cleaning your dog's teeth and helping with removing plaque and tartar. Giving a daily chewy treat for your puppy promotes dental hygiene and health while also leaving their breath refreshed. Which dog treat should I choose? Especially for a pup, you should also pay attention to your dog’s size and chewing habits. When your extremely cute puppy is giving you that look, you will want to sneak them a treat. However, these treats should not be meal replacements and shouldn't cover more than ten percent of your dog’s actual daily diet. Especially if you notice your pup is overweight. What kind of treats is best for training? When you're using treats to help teach and train your pup, you should go for the smaller ones. The quicker they can consume it, the better—or else he or she might get distracted from the task at hand, and all of that progress is tossed out the window. For training, you should choose small bitesize treats, and for activating your dog and maintaining oral health chewy treats is the option you should go for. Do some treats help dental health? There are certain treats that are specifically designed to promote dental health. Take a look at the features of the treats to see if they have that purpose. They will help freshen your puppy’s breath and reduce the amount of tartar and plaque buildup in the mouth. What should I give my pup if he or she is already overweight? Placing your dog on a diet is already tough enough—so choosing the perfect, low-fat, low-cal treat to give him or her shouldn't be hard! Therefore, aim for the all-natural treats. When looking at the description, choose ones that say: “low-fat, naturally nutritious, all-vegetable or grain-based”. You can’t go wrong with these treats. And of course, only treat your dog with one treat a day! Do I have to watch my puppy eat the treat? If the dog treats you just gave him is a rawhide treat or bony treat, you should supervise them! They can be dangerous if not eaten under supervision. The other kinds of dog treats are pretty safe even for puppies, and you don't have to supervise your dog. When it comes to puppies, you should make sure the treats are soft and small enough. We hope that this has helped you pick out the perfect treat for your precious pup!